Technology company ThoughtWorks recently held a weekend hackathon to discover how technology can help unite the public and provoke a positive dialogue following the Brexit vote. ThoughtWorks hosted a group of 50 people from technical and non-technical backgrounds to discuss technology systems for promoting dialogue, unity and positive action in the aftermath of the UK voting to leave the European Union (EU). Maneesh Subherwal, managing director of ThoughtWorks UK, said the referendum result has left the UK as a “country divided” and that by utilising technology the hackathon could help reunite those on opposing sides. “After a period of chaos, unrest and subsequent discussion, brought on by Brexit, ThoughtWorks felt the issues and the silent impact of Brexit offered an opportunity to bring those passionate about change together to innovate and create new solutions to a series of complex problems,” said Subherwal. Run in association with Code First: Girls, the hackathon produced 10 technology systems that fell into three categories: Truth, fiction and accountability; tolerance and prejudice; and effective organising and campaigning. For the truth, fiction and accountability category, five entries were made. These included What the Fact, a browser plug-in to check how factual the page you’re reading is; Ministers under the Influence, a portal for public data about monetary issues and politics; and Fixit, a website where the public can submit project ideas to try and connect people with the correct skills. Also in the truth, fiction and accountability category were Exit Gap, a web application to help people understand what parts of EU law affect the UK and how this will change after Brexit; and Brexit Net, an initiative using data to try to bridge the gap between leave and stay voters. In the tolerance and prejudice category there were three entries: Other Voices, a community where people can share their personal stories about how Brexit has affected them; Pop! Outside the echo-chamber, a portal to connect people with opposing views so they can better understand each other; and iStreetwatch, a website used to document racial or xenophobic attacks in the post-Brexit landscape. In the effective organising and campaigning category, the entries were Brex Lex, a web application allowing people to compare words and phrases used by each side of the Brexit campaign on social media; and Campaign.Ninja, a startup allowing people to quickly implement mass door-to-door campaigns. Each of the proposed solutions were designed to create a more open dialogue between the opposing sides of the Brexit argument and answer questions the UK public have as a result of the decision to leave the EU. 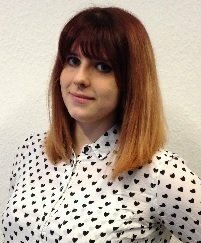 Charlotte Fereday, co-organiser of Hack Brexit and programmes manager at Code First: Girls, said: “Whether people voted to remain or not, there’s so much uncertainty about Brexit, and this affects all of our lives. Following the hackathon, ThoughtWorks and Code First: Girls are planning to continue to organise meet ups and work on an open source accelerator programme to continue to grow a community of people aiming to use technology to solve issues brought to light as a result of the Brexit vote.